If you can dream it…. We can build it…. When we started the project, Ann and I had a dream of what we could do to create both an office with hideaway space for the computer, adequate file storage, and for me a built in book case to store and display what was in small bookcases all over the house (which I wanted to get rid of). I wanted a library. With your design help and keen eye for details, it didn’t take us long to come up with the basic concept. 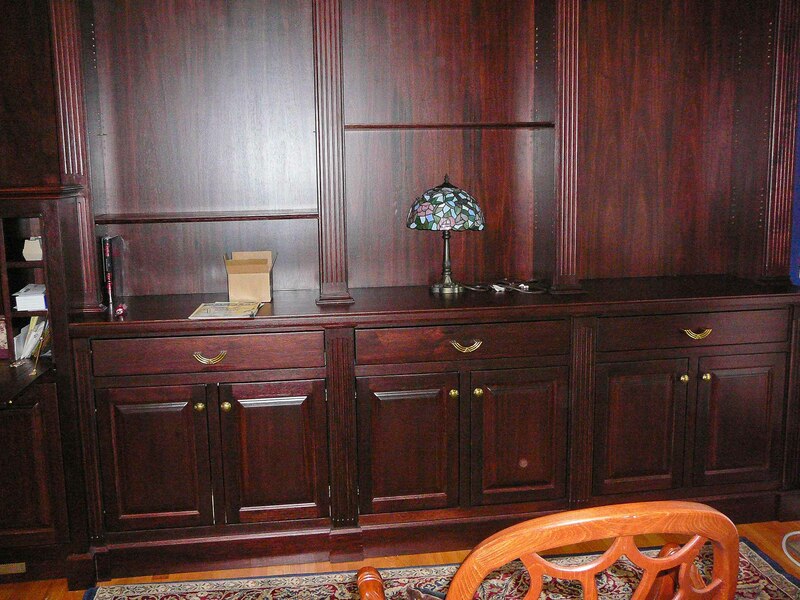 We were more excited when you came by with 3 or 4 raised panel designs, and various stain/color options for the mahogany. I must say at that point in the project the anticipation of a great thing was building, but it is still nothing compared to the sheer joy of the completed work. 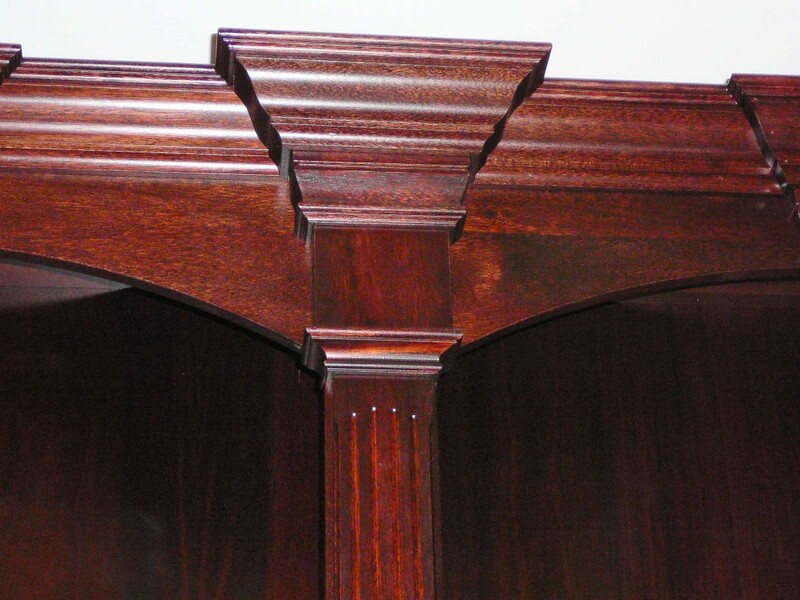 I constantly find myself just gazing at some detail or other in the various moldings, and everyone, family and friends has nothing but great comments about the beauty of the work. I would also be amiss if I didn’t mention what’s under the hood……the drop down desk, the ventilated computer cabinet, the top quality draw slides, the custom in home installation and all the attention to so many more details that make this one-of-a-kind built-in the showpiece that it is. Dave, your slogan is right on! You have helped us live our dream, and it’s everything we hoped for and so much more. The value it adds to our home is tremendous, but that is a side note compared to the enjoyment we have in this new living space that is so warm, functional, and truly beautiful. I am so happy we finally did this project. It is like a gift that keeps giving every day. It really is the final piece of the puzzle to complete the home we built 7 years ago, and it is truly the pièce de résistance. Thank you! Dave has done work for us many times over the years. The projects have been big and small and each time we have been thrilled with the results. His work as well as his work ethic is excellent. We will not hesitate to call on him in the future and recommend him highly. expectations. I’ll be sure to call you when I have my next project. Dave rebuilt our back porch and put in a new bay window for us. While installing the window he found a problem with some rot along the sill plate. 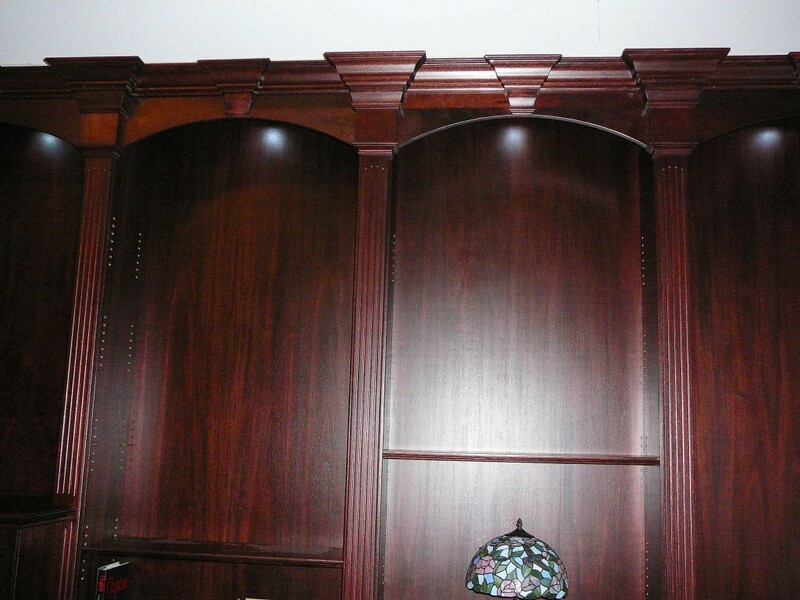 After consulting with us, he replaced the rotted area and was able to keep the job within our budget. He is an excellent craftsman and I would highly recommend him. We are planning to have him work on the next project with us as we are rebuilding an older house.